Interestingly, we've run into a young girl named Megan Renault (but as we only heard it outloud, it could be spelled variously) here in Paris, but she wasn't born here, so I guess the French authorities didn't force her to change her name to live in France. Article 57 of France's Civil Code states: "When a name, or a combination of names, is considered contrary to the interests of the child, the civic officer shall promptly notify the prosecutor, who may refer the matter to the Family Court." I have also heard that because of an old law still on the book, you are also not legally allowed to name your pig Napoleon. However, upon further research, it turns out this is almost certainly an urban myth (I must admit, I do not comb through all old French laws to verify). The law seems to say more that you can't insult the Head of State. And it's not actually enforced. And that's a good thing, or basically all of the comedians in France would currently be in jail for mocking President Hollande. 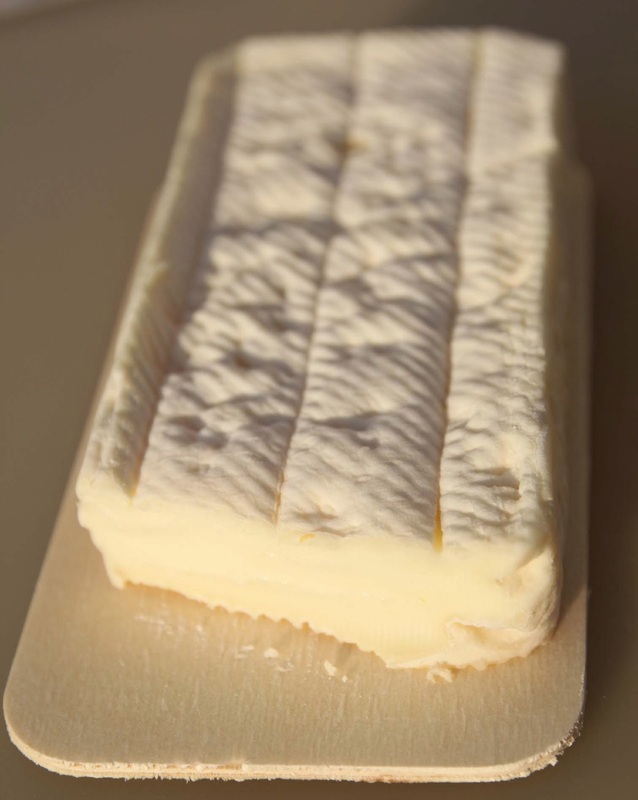 This Brique de Brebis -- the aptly named "Brick of Sheep" -- is an industrial, pasteurized sheep's milk cheese from the major brand-name Lou Pérac. It's a cheese on the firm side of creamy. The taste is definitely more on the industrial side, if you get my drift. Hints of sheep, of course, but nothing too funky. It's a fairly mellow flavor. I have to say that for a supermarket, cheap cheese, it's not bad. And I'm sure there have been many times, places, and occasions in my life when this would actually have been the best cheese on the platter. However, that time, place, or occasion is not when I'm tasting artisanal, farmhouse French cheeses, in France, on a daily basis. Even if you are allowed to name your child Lou Pérac in France, I wouldn't recommend it. Unless you want him to get teased about being very, very cheesy.